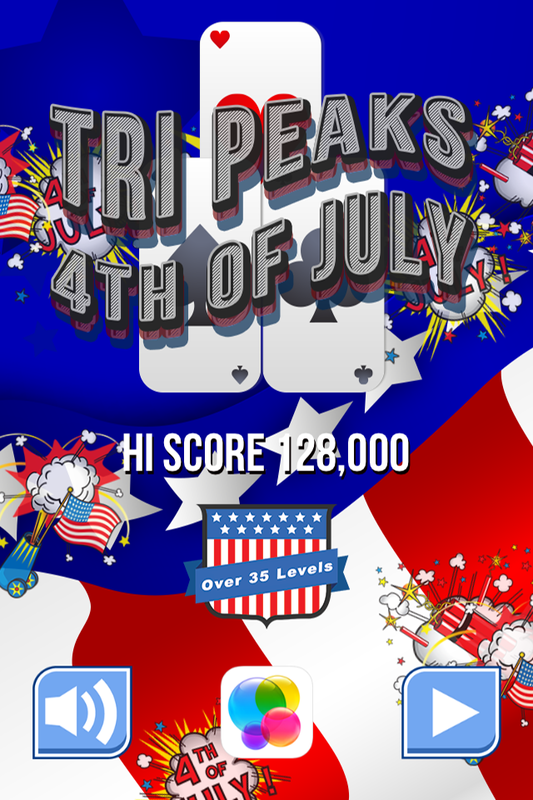 Celebrate this 4th of July with an amazing spin on the classic solitaire game of Tri Peaks solitaire featuring over 35 incredible 4th of July themed levels, Game Center integration and graphics/sounds optimized for both the iPad and Retina displays. 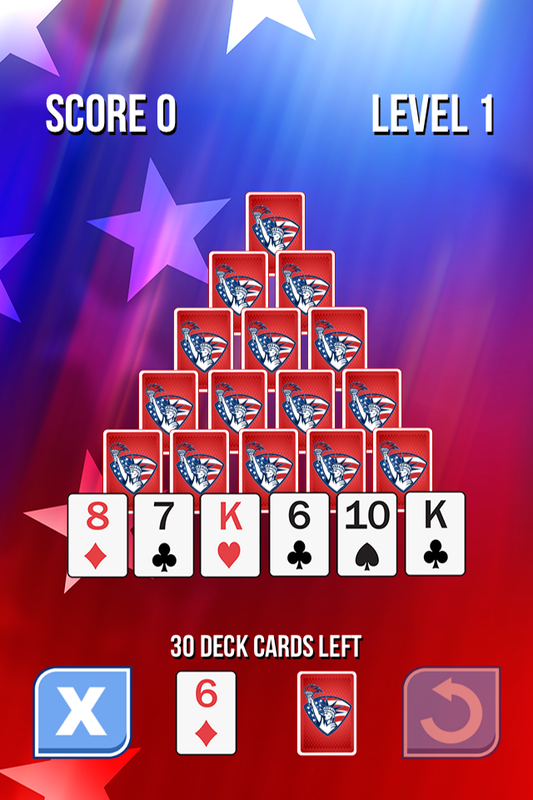 You can clear a card from the level if it is higher or lower than the face up card at the bottom of the screen in the pile. 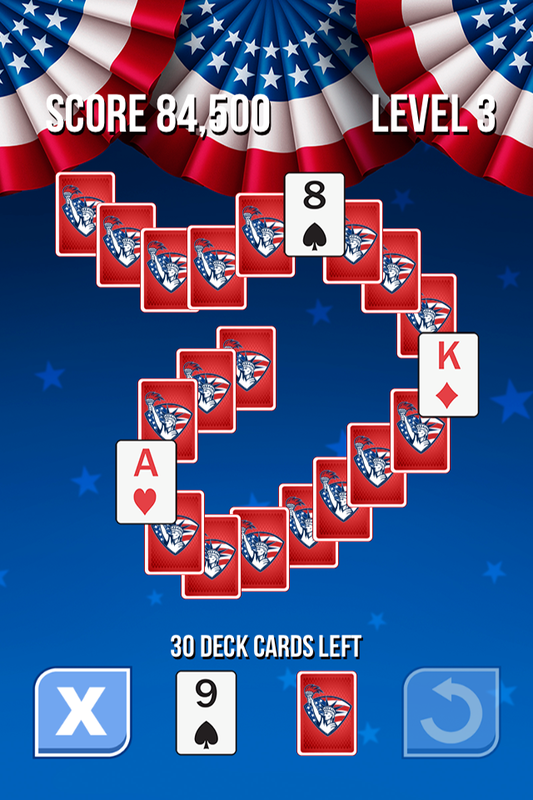 If you cannot match any cards simply click the deck to deal another card. You can go “around the horn” and match a King to an Ace and vice versa. 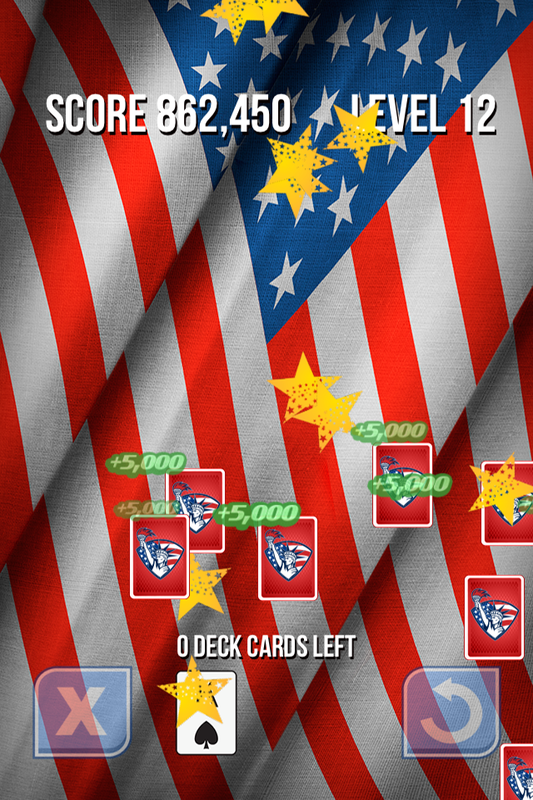 If you deal all of your cards and cannot match the game will be over. 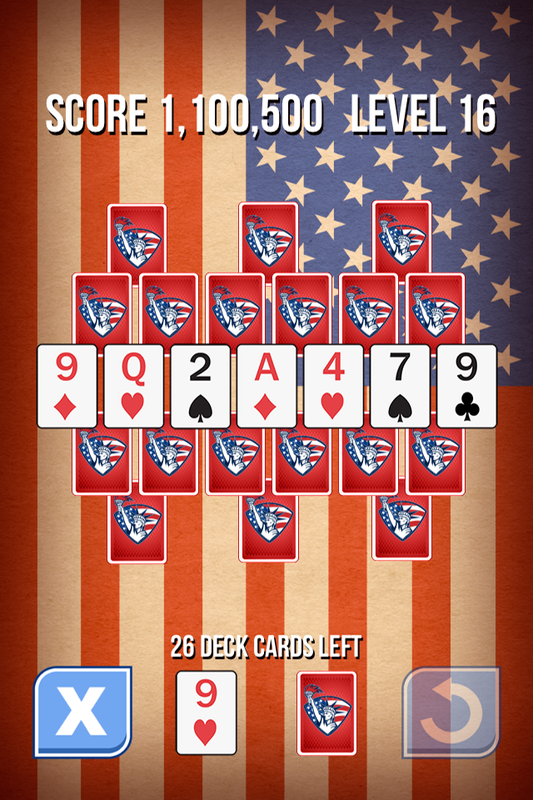 Wild Cards can match anything and help you out of difficult situations.